Breaking Up? Hard to Do. What if William Wallace got wind of the potential revolution blowing across the Highlands today? There are no spears, no blood...and no television commentators scribbling exit poll results on white boards. I cannot even imagine what the Scottish and British people are doing to calm themselves during this media blackout before the results of the referendum are announced tomorrow morning. Our ridiculous American election coverage at least doles out the bad (or good) news in doses so we can go to bed generally accepting of our fate (unless there is a chad crisis). This is like (at best) waiting for Santa or (at worst), waiting for the jury to come back. Either way, it's historically mind boggling. (1) Does Scotland Yard get rebranded? (2) What happens to all the Scots working for MI-6? (3) How will the Scots watch BBC programming? Illegal downloads, months late, through licensing arrangements? If you need something to keep you busy before the news breaks, take a stroll through British Pathe's old Scottish news (reels), all collected here. 9/19 Update (for history, since this all seems completely out of date now) - No separation this time. All information above is a moot point. But I do still have those questions. 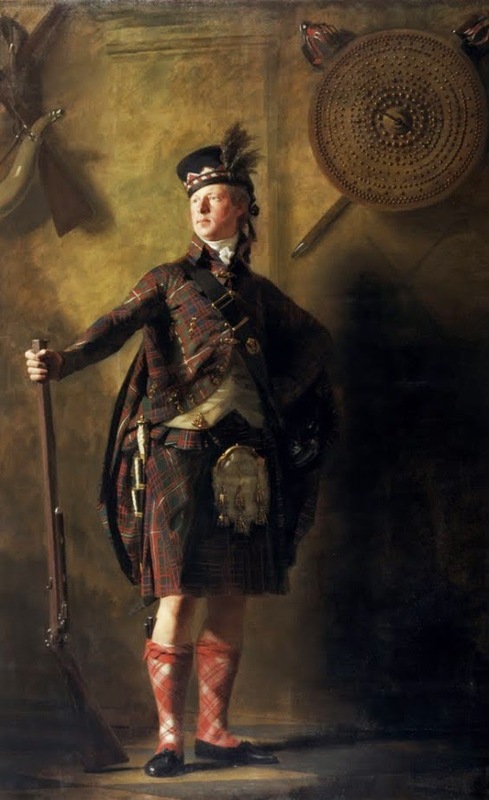 Above we have Col. Alastair Ronaldson Macdonell of Glengarry painted by Sir Henry Raeburn in 1812. Macdonell, supposedly the model for his friend Sir Walter Scott's character Fergus McIvor in Waverley, was a fervently proud Scotsman who went a bit far in his national pride. He evicted his tenants so he could clear his lands for sheep farming and started societies for only those with the purest Scottish blood. All that said, he did wear some nice tartans and would likely have some very serious opinions about what's happening today. your questions are fine but the more important question would have been the new design on the British flag. Would the cross change? Imagine the re branding effort!